For gamers who don't play the NHL series, the headline above likely reads like a slop of messy letters and abbreviations. For NHL fans? It's really, really bad news. The Xbox One and PlayStation 4 editions of NHL 15 will arrive without the EA Sports Hockey League. Known as EASHL, the mode has been a present force ever since NHL 09, and it's a huge source of enjoyment for most gamers who play. You pick a position, design a player and participate in six on six hockey for entire seasons. You rank up, you gain experience and you move from a rookie to a superstar. It's sort of an amazing thing. EA has officially confirmed, following rumors and conjecture, that the mode is absent in the new gen version of this established series. Here's a bit of the word from the game's official site. As a franchise, we're 100% committed to the EA SPORTS Hockey League. While we can't deliver EASHL in NHL 15 on the Xbox One and PlayStation 4, we have huge plans for the mode in future iterations of the game. We will be putting together a small EASHL committee made up of you, the fans, to ensure that we deliver an experience that is bigger and better than any of us would have imagined when we first introduced the feature in NHL 09. Decisions like this are never easy, nor do we take them lightly. We know that there is a passionate group of fans that loves these modes and is no doubt disappointed with this news; but we also know that this same group of fans expects a high quality gameplay experience above anything else. We're a franchise built on quality, so launching these modes without confidence in their quality wasn't something that we were willing to do. We thank you for the passion you have for our game. We looking forward to bringing you a next generation hockey experience this September that will continue to evolve and improve with your feedback post launch. This, friends, is a huge blow to the potential success of the Xbox One and PlayStation 4 version of NHL 15. Sure, the new gen edition is the only one that gets the crazy advanced physics and arenas. For most gamers who love this series, that's not enough. 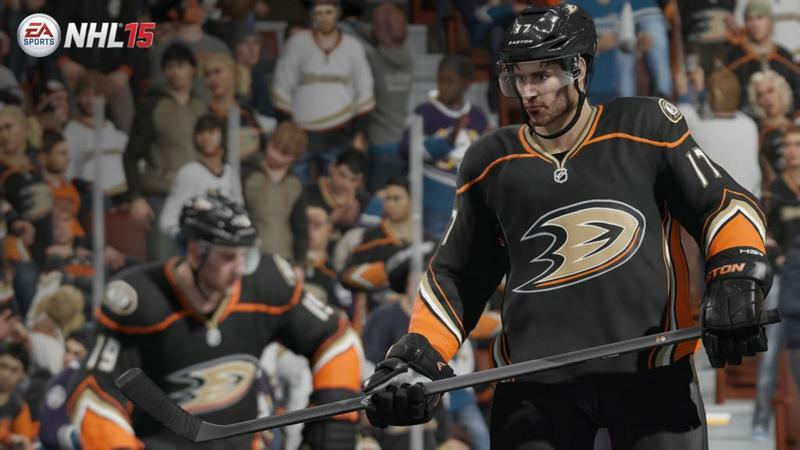 Hopefully we'll see the EASHL in NHL 16 on the PS4 and Xbox One. For now, if you want it, you'll need to stick to the 360 and PS3 version of the game.